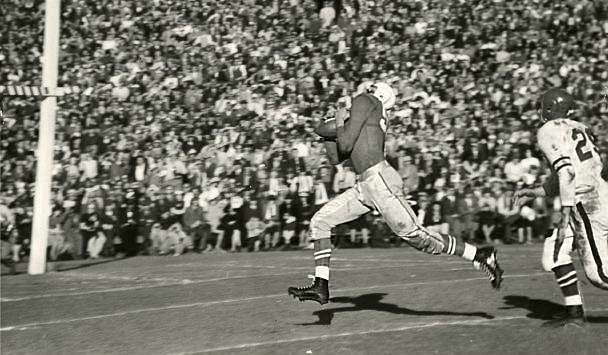 Al Zikmund scores NU’s second TD. 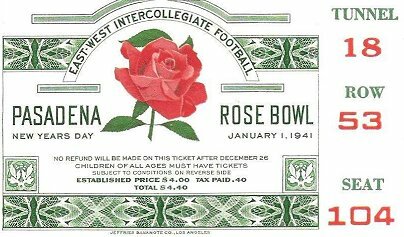 Nebraska was only the third Big Six team to play in a post-season bowl game, but the Cornhuskers made their first bowl trip a memorable one with an invitation to the granddaddy of them all — the Rose Bowl. 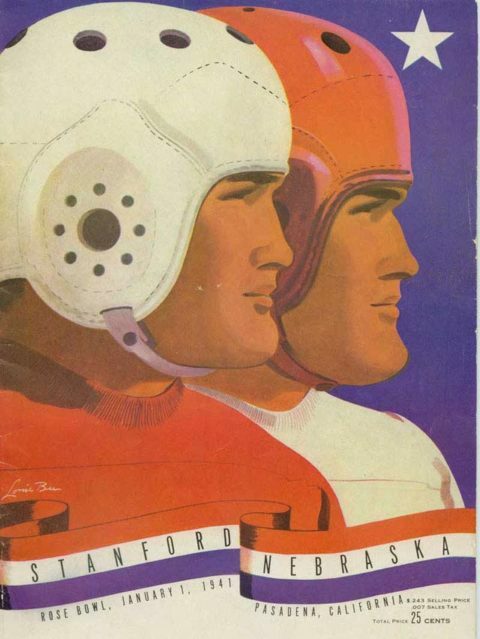 Coach Biff Jones’ Cornhuskers led Clark Shaughnessy’s Stanford Indians twice in the first half, but fell victim to the innovative T-formation 21-13. The Huskers took a 7-0 lead just six plays after the kickoff when fullback Vike Francis plunged over from the two. 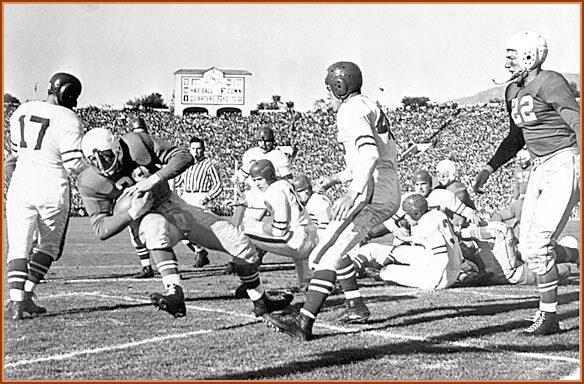 Stanford tied it four plays later when Hugh Gallarneau bolted over from nine yards out. In the second quarter, the Huskers took the lead again on a 33-yard Herm Rohrig-to-Allen Zikmund pass, but the Indians came back on Frankie Albert’s 40-yard TD pass to Gallarneau for a 14-13 halftime lead. A 39-yard TD punt return by Pete Kmetovic iced the game for the Indians in the third quarter.